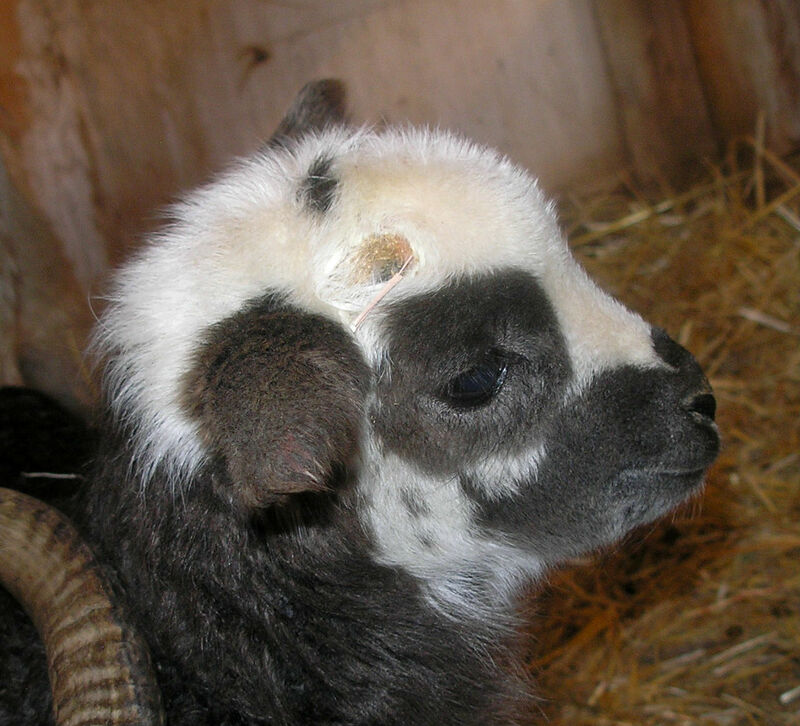 I have been raising America's oldest breed of sheep for over 18 years in Great Falls, Montana. I have a large flock of registered breeding ewes and rams from diverse bloodlines. Offering quality lambs, raw fleece, processed wool, and milk products. Over 400 years ago, Spanish explorers brought the Navajo-Churro sheep to the new world, this beginning their story. 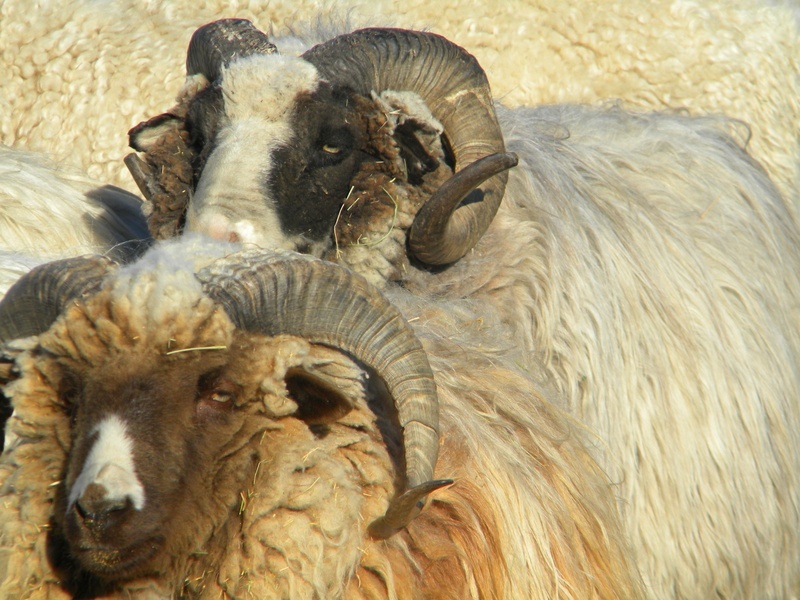 Through trades and raids, the Navajo people acquired sheep from the Europeans. 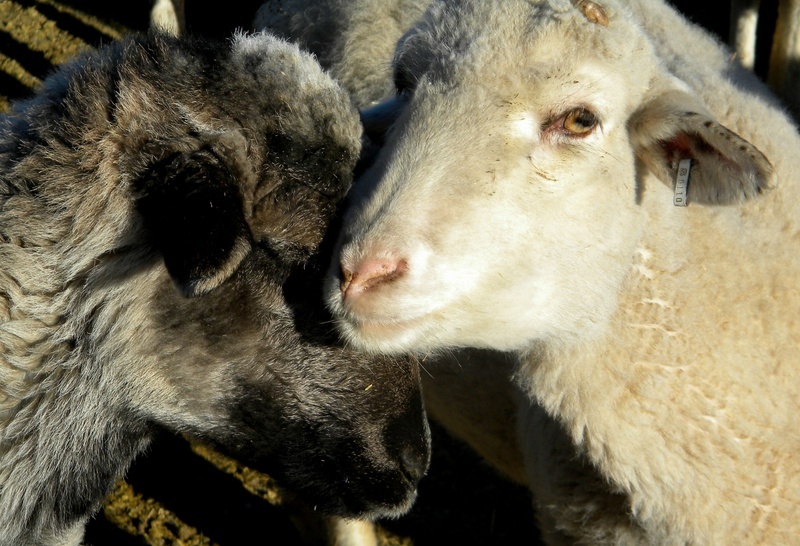 They nurtured and cared for their sheep and let their flocks grow. However, when America was plagued for a demand for fine wool and meat to supply the California gold rush, America's oldest breed of sheep was sent west where they were slaughtered and crossed with fine wool rams, such as Merinos. As settlers came upon Navajo lands, the people resisted which prompted the government to send them on "The Long Walk" to an internment camp at Bosque Redondo, New Mexico , where many people died. The flocks of sheep and goats left by the Navajos were slaughtered and destined to rot in the sun. Along the way to New Mexico, some Navajos escaped and hid their sheep in remote canyons and valleys. Conservatives began collecting the "original" churros and began to bring them back from the brink of extinction. It is because of these people that the breed remains today. They are a very unique breed and deserve a second chance after nearly going extinct. They have stood the test of time being the first breed of domestic sheep in America, and over 400 years the breed has barely changed at all. If you would like more information on them just let us know! In addition to Navajo-Churros, I also raise Silver Penciled Hamburgs and Honey Bees.